MEGA BORA IS BACK HOME. PLEASE CHECK THE VERIFICATION SECTION BELOW FOR MORE DETAILS. PLEASE DON’T SHARE THE NEWS ANYMORE. 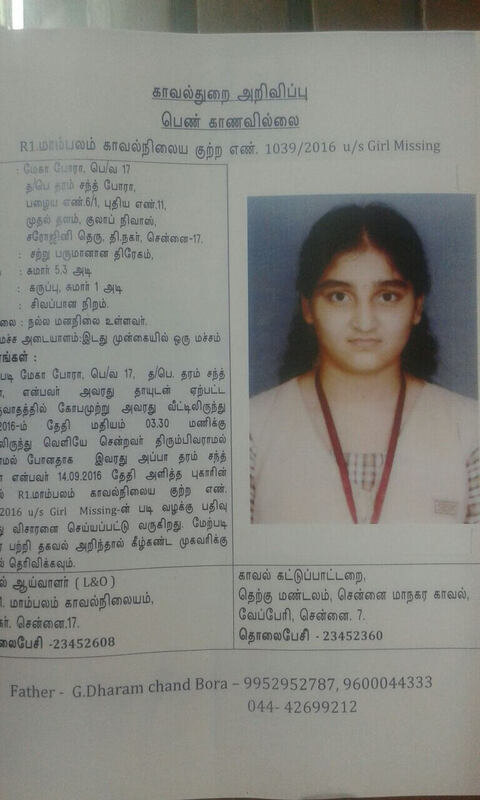 Dear Friends Need Help , Kindly share the post on your Profile and other Groups. 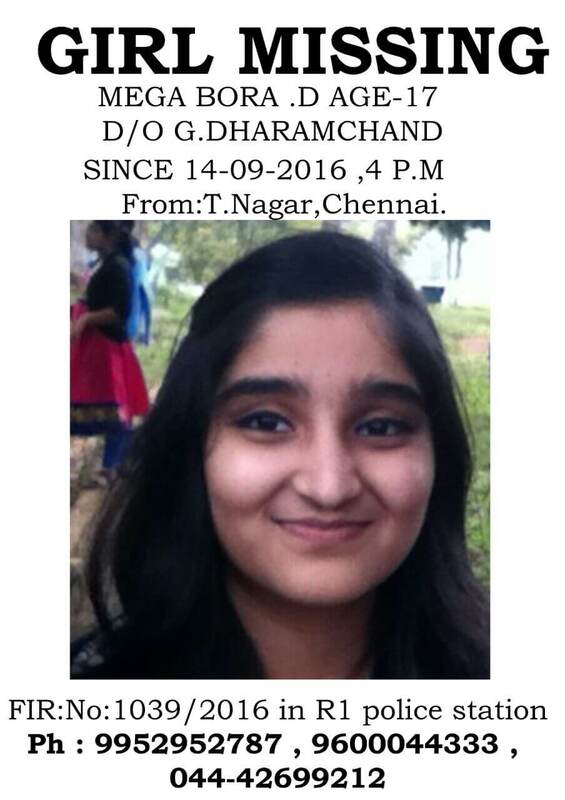 Missing from 14 September 4pm, from #TNagar, #Chennai. If seen or found immediately contact. 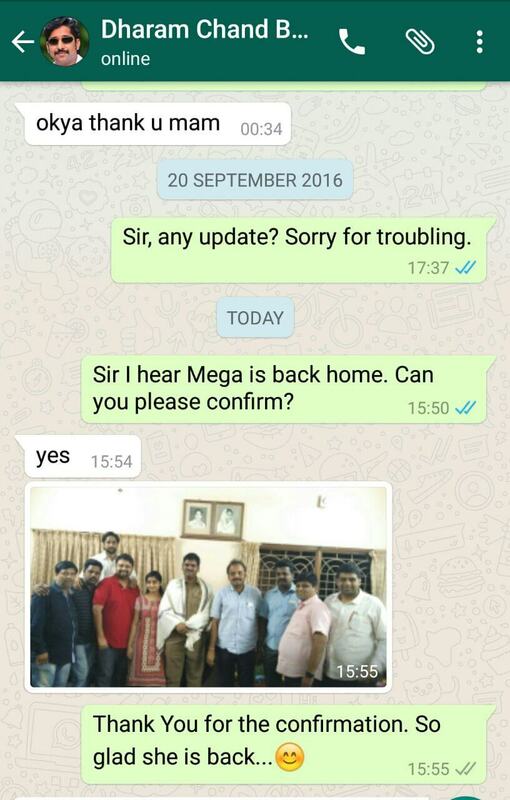 Pls share as much as possible nd forward..
23 Sep 2016, 3:00 PM, Received a comment at our page from Ms. Kavitha saying Mega Bora is back home and her school has communicated the information to all parents. 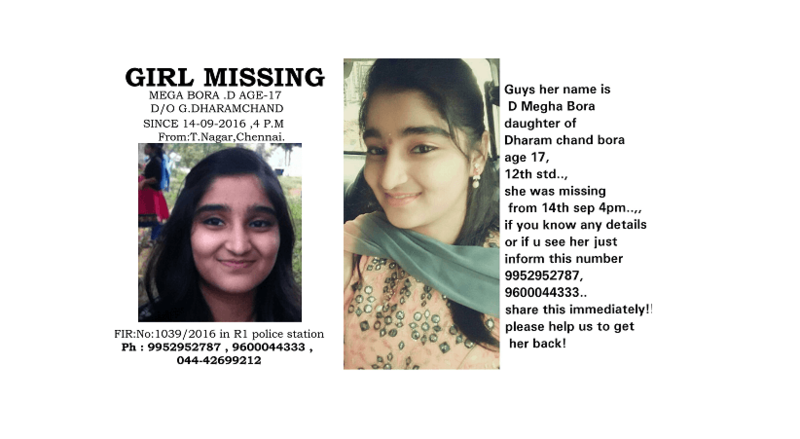 We also confirmed the news from Mr. Dharam Chand Bora. 17 Sep 2016, 3:20pm, Added the post. Found the news at Mr. Bora’s Facebook page.